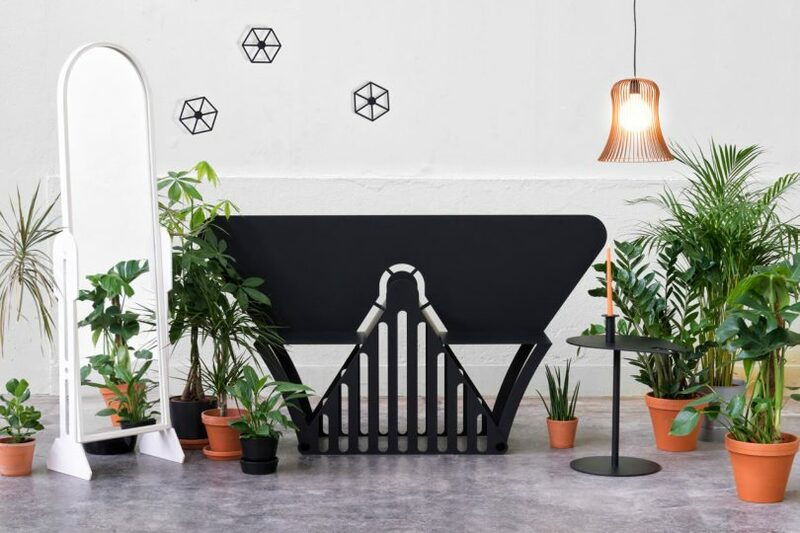 Swiss design collective SUPERLIFE launches a Star Wars inspired collection of furniture and objects called Superlife Empire. SUPERLIFE, the Swiss design collective that previously brought us clever plastic bag storage and items you might need in a disaster, are back with a timely collection inspired by Star Wars. Consisting of six objects, Superlife Empire includes a R2-D2 mirror, TIE fighter hooks, a Millennium Falcon table, a Chewbacca Lamp, a laser sword candleholder, and a Darth Vader bench. The collection is on display until October 14th, 2018 at the Western Swiss museum, La Maison d?Ailleurs, in the “Je suis ton père? (which translates to ‘I am your father’) exhibition and will now be available for order. Each piece is a limited edition of 99, so, if you want the force to always be with you, visit superlife.ch for info about purchasing.